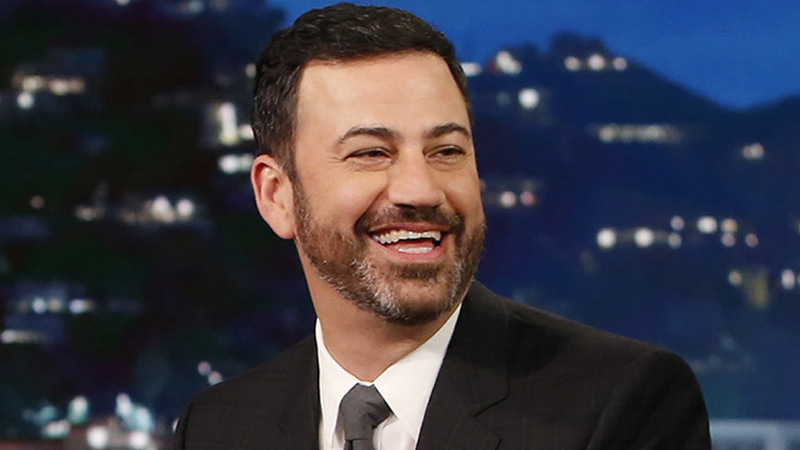 LOS ANGELES (WPVI) -- Jimmy Kimmel returns to host "Jimmy Kimmel Live!" on Monday, one week after giving an update about his newborn son. During an emotional and heartfelt monologue, Kimmel explained, "They found that Billy was born with a heart disease." The late night talk show host took last week off, after telling viewers about his son's open-heart surgery. The family says Billy is doing great. On Monday, the "Jimmy Kimmel Live!" team tweeted a sweet photo of Kimmel laughing during rehearsal at the desk, surrounded by mariachi musicians. They wrote, "He doesn't like when we make a fuss, so we did anyway..."
One of Kimmel's guests for Monday night is Louisiana Senator Bill Cassidy. Cassidy-Collins plan passes the #KimmelTest. Maintains coverage, protections for preexisting conditions, BUT in a fiscally conservative way. The republican said a health care bill should pass the "Kimmel test" and cover pre-existing conditions. Watch "Jimmy Kimmel Live!" weeknights at 11:35 p.m. after Action News at 11 p.m.